NEDCC and the Nishio Conservation Studio (NCS) offer the highest level of quality care and professional conservation treatment of Japanese and Chinese art. Traditional techniques and craftsmanship are combined with modern scientific analysis and conservation procedures to merge Asian aesthetics with Western technology while conforming to the ethics and standards of practice of the American Institute for Conservation (AIC). The Nishio Conservation Studio has conserved Asian painting collections for institutions and individuals across the United States since 1994. 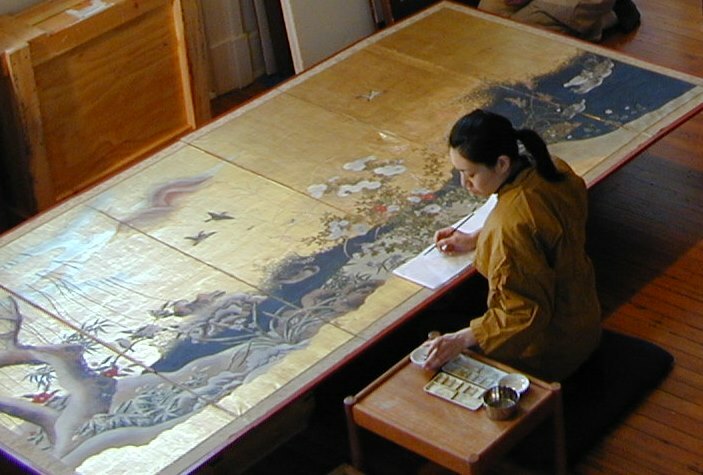 The Studio’s highly qualified staff provide conservation treatment of Japanese and Chinese hanging scrolls and screen paintings. Every effort is made to promote and teach traditional hand skills while promoting the culture of “hyōgushi,” or paper craftsmanship. NCS uses the highest quality materials imported from Japan, such as handmade papers, silk brocades, gold leaf, pigments, and adhesives. NCS clients include the Asian Art Museum of San Francisco, the Peabody Essex Museum, the Walters Art Gallery, and the Isabella Stewart Gardner Museum. Paper conservation treatment proposals for Asian works of art are written after consultation with the client. The choice of treatment depends not only on the condition of the work of art, but is also based on other factors that include its function and future use, display and storage conditions, aesthetic and historic content, and the predicted outcome of the treatment. Treatment steps may include: surface cleaning to reduce superficial dirt; separation from harmful poor quality mounts; consolidation of flaking or deteriorating media; aqueous treatment to reduce deterioration products, discoloration, and stains; mending tears; filling areas of loss; and lining or remounting based on the object’s functionality. 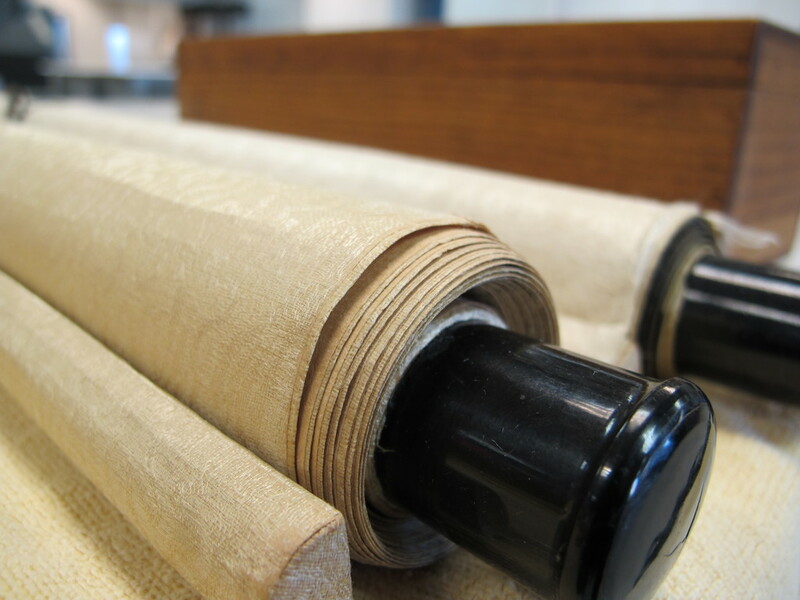 A variety of archival storage solutions are also available, such as custom museum-quality matting and framing, or custom fitted and labeled clamshell enclosures. Cosmetic and aesthetic treatments may include: stain reduction; filling losses with matching paper; and inpainting or toning areas of image loss. These non-essential treatment steps are performed only after thoroughly consulting with the client. All treatments are carefully documented according to AIC Standards. Clients receive a written treatment report, including a comprehensive list of materials used, as well as ‘before and after treatment’ photo-documentation. ‘During treatment’ images are taken at the client’s request. These records are the property of the client and should be regarded as part of the object’s permanent record.